Cat Tales and Paper Trails: OH MY GOSH. So very, very amazing. OH MY GOSH. So very, very amazing. I've been drooling over the beautiful coloring of Marika Rahtu for a long time. She is an incredible artist. I'm in awe of her talent. Like fan girl awe. When I grow up, I want to be her. 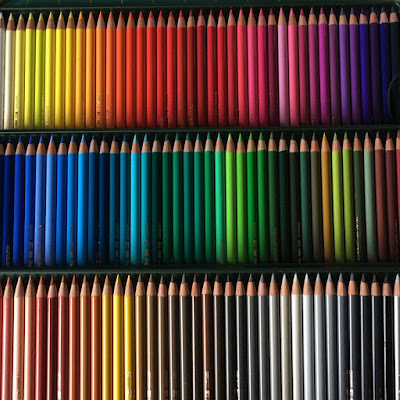 In her blog posts she often demonstrates using Faber Castell Polychromos pencils on her images. I've always been tempted to try them. 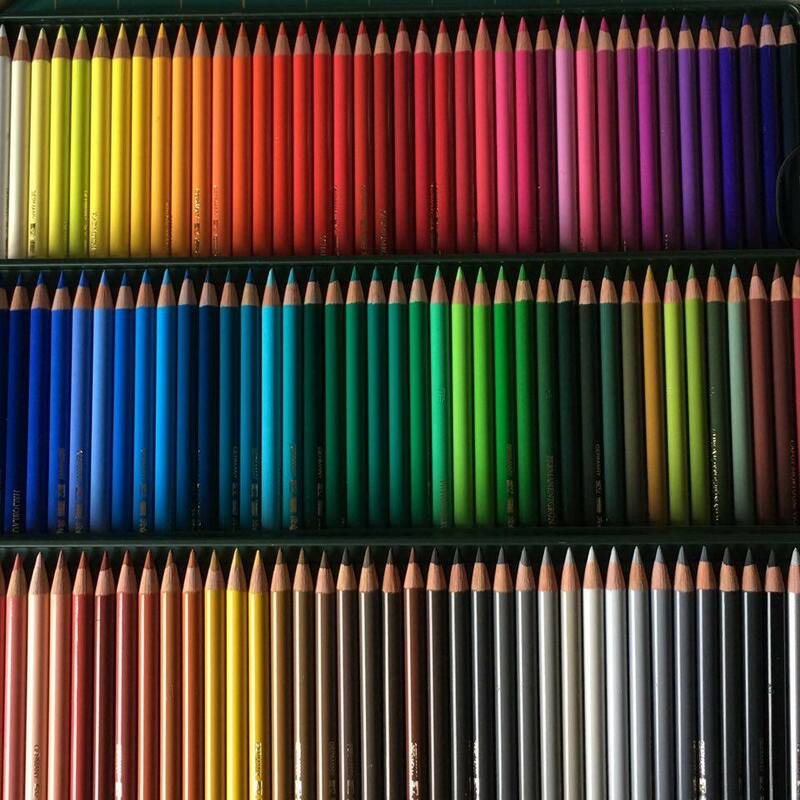 I have and love my Prismacolor pencils, so I hesitated. And hesitated. But I played with a few of the open stock pencils at my local art store the other day and fell hard. So I ordered a set. They were on my doorstep when I came home from the hospital. Aren't they beautiful? I love coloring mediums. All of them. But these might just be my favorite. They are incredibly creamy and vivid, and blend easier than Prismas. And you don't need Gamsol or OMS and blending stumps. 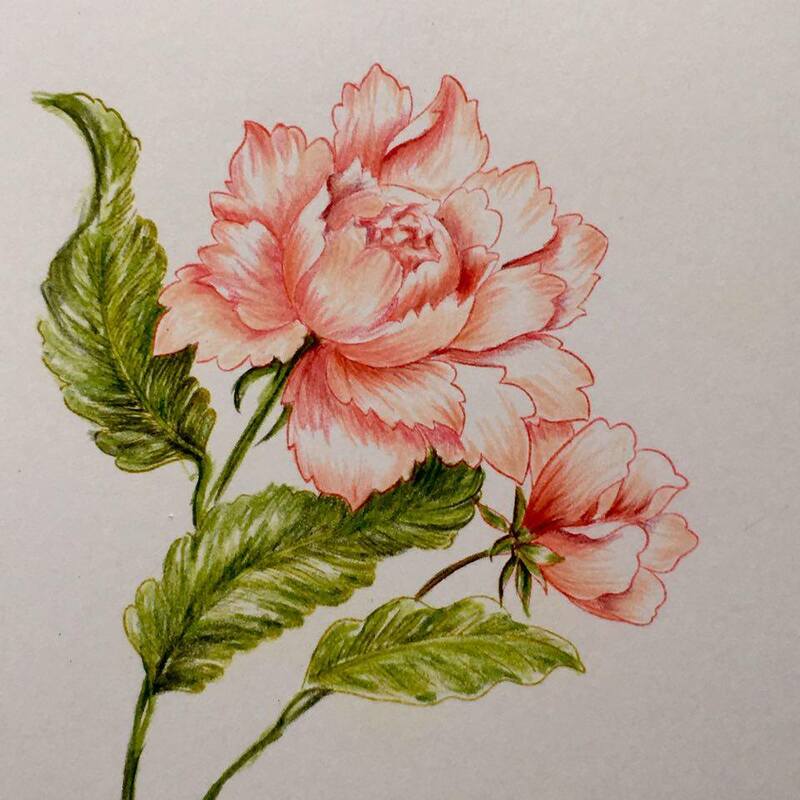 It took me longer to cut out the peony mask to stamp the leaves than it did to color this. These oil-based pencils are so smooth and easy... Unreal. I don't think the taxes are getting done tonight either. Look at all those colors!!!! Looks fun. Do you need a fixative so they don't 'blend' when you don't want them to. Or how do you blend with them. My heart goes boom boom. For this peony and also the fact that I love Marika as well. I fan girl love her. Chris, had I not known, I'd say this is her work. Now, I need those pencils.... Crap. My goodness Chris, you the artist is getting better every day. Love your coloring. Wil have to try these new prismas. Enabler! Absolutely gorgeous coloring!!! And I love Marika's work too. She is so talented. And so are you :) Great job!